Image Size: 10 X 10 in. In the northernmost reaches of the North Pole, the winter winds whip bitterly and the sun never seems to shine. 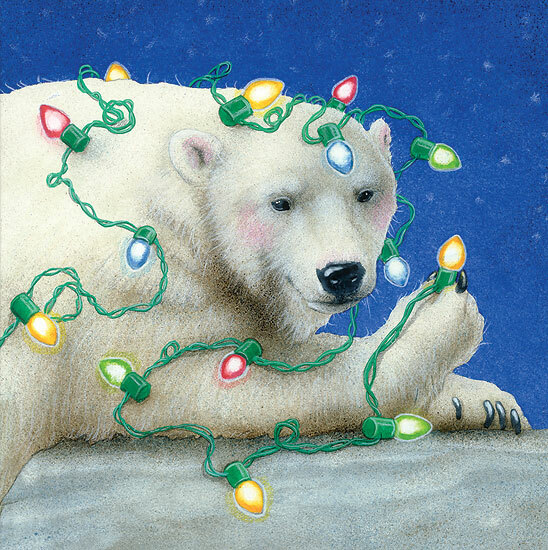 But one optimistic polar bear has found the answer—a little holiday decoration. His gentle smile and colorful lights will bring whimsy and warmth to even the darkest of days.